Welcome to Flopcorn, where Reader writers and contributors pay tribute to our very favorite bad movies. In this installment, staff writer Leor Galil tries to fathom the works of Neil Breen. Anyone who says they understand Twisted Pair is a liar. 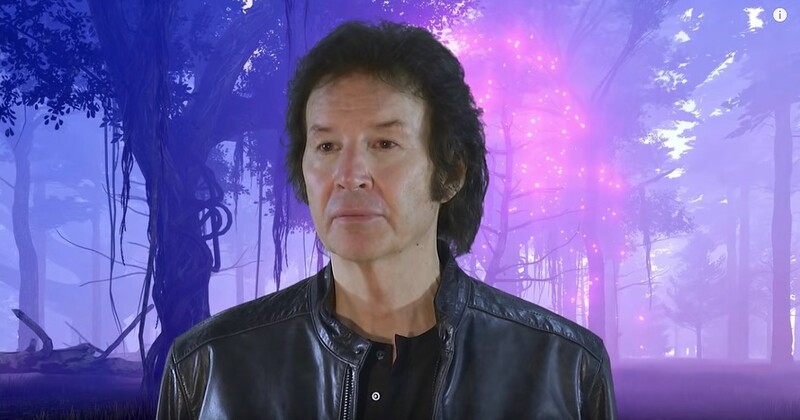 I'm skeptical Neil Breen could fully explain it, and he practically made the movie single-handedly; he's the writer, director, star, producer, editor, casting director, and head of craft services. And it's not even his first movie! After a one-night-only screening of Twisted Pair at the Music Box last month, I left wondering which of Breen’s choices (if any) were intended to be illuminating or coherent. Breen made four films before Twisted Pair. 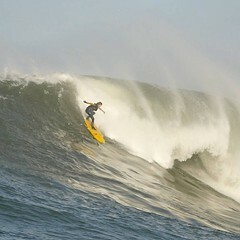 I’ve now seen all but one, his second, I Am Here . . . . Now (2009). (Yes, the title’s ellipsis has four periods. If this is alarming, you might not want to watch Breen's movies.) Breen recycles a few core themes and narrative elements in all of his movies, or at least the ones I've seen. The world is usually threatened by a hidden evil; those responsible are generally millionaire CEOs or people who hold high positions of power in government. 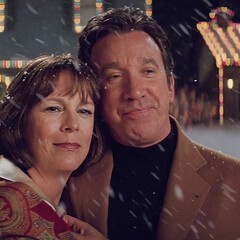 Breen, always the star, is often the only one who holds the key to the truth and the salvation of the world. In his debut film, Double Down (2005), he plays a gifted hacker who prevents a Las Vegas terrorist attack. (He does this by working on multiple laptops while sitting in or on his car, which is parked somewhere in the desert.) In Pass Thru (2016), an all-powerful being takes control of Breen’s body in an effort to rid the world of hundreds of thousands of bad people; for some reason, this involves Breen showing up at cocktail parties with powerful people who brag about corruption with an alarming lack of specificity. (Example: "As CEO of a major bank, we manipulate interest rates to serve our best interest—with no concern for the customers, of course!") In Breen’s greatest triumph, Fateful Findings (2013), he plays an author and computer wiz (again) who, after a car slams into his face, rediscovers the mystical powers he'd had as a child; after the accident, Breen's character decides to hack into "the most secretive government secrets" for reasons that now escape me. In Twisted Pair, Breen plays twins Cade and Cale. During their childhood, they were kidnapped by a mysterious being who combines their DNA with artificial intelligence for some reason. Cade and Cale hone their powers with this mysterious creature, which briefly appears in the form of a rotund, animated 3D head that looks like it was made for a Windows screen saver in the 90s. At some point, one of the twins begins to fail in his training exercises, and ultimately exiles himself. You can tell the twins apart because the one who sticks with the training and becomes all-powerful (Cade) is clean shaven, whereas the "black sheep" twin (Cale) sports a fake beard. That is basically the closest to a plot I can discern. Had I not been familiar with Breen’s body of work, Twisted Pair would've left me more shell-shocked than it did. Breen presents his ideas like a PowerPoint presentation that's missing a few slides. Early in the film, he superimposes an image of Cade over B-roll footage of a hawk while he declares his love of nature in a voice-over. I'm not sure why he felt the need to express his love of nature, nor do I recall him addressing this idea again, but he uses the exact same scene later in the movie. The entire film is 89 minutes long, and despite that short run time Breen felt the need to pad out the loose story with extraneous footage rather than string together his scenes into a coherent plot. At least five to seven minutes involves Cade trying to persuade a woman to go on a date with him—first, when they run into each other on a sidewalk, then when he follows her home (everyone in the theater seemed uncomfortable, even the superfans who cheered through the first ten minutes). Although Twisted Pair suggests Cade is a totem for all things good, Breen appears to have no issues portraying him as a creepy, violent man who'd break into a woman’s home. It's only after Cade begins to tussle with this woman post break-in that it's revealed that they’re just play fighting and that they are actually, uh, lovers. The only explanation I can come up with for this drawn-out, gut-wrenching excursion is that Breen had 15 minutes of plot he needed to stretch into a feature film. In several of the Breen films I’ve seen, most of the visuals rely on one liberally employed technique or tool. Double Down relies on a bevy of B-roll, with Breen mapping out large conspiracies over recycled footage of aircraft carriers and other signs of military might. Somehow during the filming of Pass Thru, Breen got access to a drone; its epic, fanciful shots give the film a simulation of gravitas that Breen’s acting, dialogue, and narrative lack. Breen appears to have filmed much of Twisted Pair in one or two buildings at the University of Nevada at 4 AM; for the rest, he relies heavily on green screens. When Cade is sent around the globe helping the forces of good, um, I guess combat evil or whatever, Breen superimposes his own image onto footage of soldiers in a combat zone. In one instance, Cade, dressed in plain clothes, steps into a frozen shot of a squadron stalking a dilapidated building; in a voice-over, Cade offers to lead the charge, and then proceeds to gingerly step through the wreckage as if he were a preschool teacher tiptoeing around a classroom of napping children. In the five years since Fateful Findings, Breen’s films have become increasingly incoherent. Twisted Pair successfully outdoes Pass Thru not only in terms of narrative logic, or lack thereof, but sloppiness as well. I’ve wondered whether any of this has to do with funding, or the lack of it. Breen used GoFundMe to help finance Twisted Pair and raised a little more than $7,000. He’s either an architect or real estate agent by trade, though it’s hard to pinpoint exactly how he makes a living; he’s fairly evasive about his background, and when Las Vegas Weekly approached him for a story about his growing cult audience in 2014, he turned the interview request down. Anecdotally, his fan base appears to be growing; I was one of maybe a dozen people who went to see Fateful Findings at the Music Box in 2014, but last month’s Twisted Pair screening filled the theater’s main auditorium close to capacity. But as Breen’s renown has grown, his films look increasingly worse and are harder to follow. Yet there's something undeniably fascinating about his output. Twisted Pair doesn’t make much sense, it drags in parts, and it sometimes resembles the ramblings of a tinfoil-hatted conspiracy theorist. But, somehow, Breen unexpectedly emerges with flecks of gold, little moments that have stubbornly attached themselves to my memory, such as the scene in Fateful Findings when his character screams "No more books!" and throws a book at one of his many laptops, or the scene in Twisted Pair when Cade plants a "bomb" inside a green-screen "lab" and then trips while running away from the eventual blast (why didn't Breen just reshoot that part?). At this point I'm familiar with Breen’s stilted acting, his awkward dialogue, and his narrative universe—and still he finds a way to make something I could never have predicted. A couple of weeks ago, the Hollywood Foreign Press Association announced the nominations for the 75th annual Golden Globe Awards. Of course Twisted Pair wasn’t on it—why would it be? But the list of nominees felt predictable, like some of the films themselves. Sure, I've only seen the trailer for Green Book, but that alone made me feel like I know it inside and out. With a Neil Breen movie, though, I never know what I'll get, and that’s exactly why I watch it. I suppose you could describe his movies as "bad," but Twisted Pair kept me engaged, occasionally walloped me with joy, and encouraged me to think—if only to consider how anyone could call what I saw "a movie." The end credits of Twisted Pair—like the credits for the other Breen films I’ve bothered to sit through—feature a handful of nondescript company names that help with makeup, production, catering, sound editing, etc. The names of all of those organizations feature the letters "N" and "B." A note near the end of the credits says that any of the companies with those letters are a stand-in for Neil Breen. In his movies, too, Breen continues to rearrange a few basic ideas until he can emerge with, well, whatever you call Twisted Pair.